Dealers are not eligible for the monthly special pricing. Save 20% on any of our Rigid-Column Base Upgrades and Spacers! Rigid-column bases are for those who want the versatility of Sherline’s 2000/2010 mill column with its large work area and multiple directions of movement but have experienced unwanted column rotation during extreme machining loads on the 2000 mill, and our new 2″ rigid-column spacers are designed to be used in conjunction with these columns. NOTE: In the event, we run out of a product offered on special, we may change the special or put the items on backorder at our discretion. Click the image to enter this category. This round, 2″ column spacer is designed to be used in conjunction with the round, rigid-column bases for the 2000-series mills. If you have a 4″ rigid-column base you can machine right down to the top of the mill table. 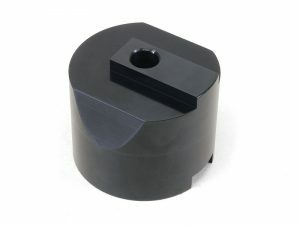 However, if you have an angle table, or a rotary table mounted on your machine you may want to have the 2″ column spacer to allow for more clearance above the table while using those types of accessories. It is much easier to add the 2″ column spacer than it is to switch out your 4″ column base for the 6″ column base (P/N 5606). Monthly Special Discount will be applied at checkout. 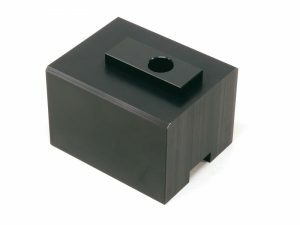 This rectangular, 2″ column spacer is designed to be used in conjunction with the rectangular, rigid-column bases for the 5400, and 5800-series mills. If you have a 4″ rigid-column base you can machine right down to the top of the mill table. 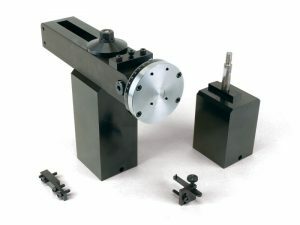 However, if you have an angle table, or a rotary table mounted on your machine you may want to have the 2″ column spacer to allow for more clearance above the table while using those types of accessories. 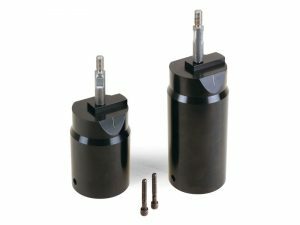 It is much easier to add the 2″ column spacer than it is to switch out your 4″ column base for the 6″ column base (P/N 5645). These rigid-column bases come in 4″ and 6″ heights. They eliminate unwanted column rotation during heavy machining loads on the 2000 mill. The one-piece column absolutely prevents that from happening, although you do give up the ability to rotate the column ram from side-to-side. These rigid-column bases come in 4″ and 6″ heights. They are the rigid column bases that come on the NexGen mill and the Rigid Column Upgrade for the 5000/5400-series mill (P/N 5640 and 5645). If you are upgrading your 2000-series mill to the 5800-series NexGen XY base you will also need this part to replace the round column base of the Z-axis on your mill. 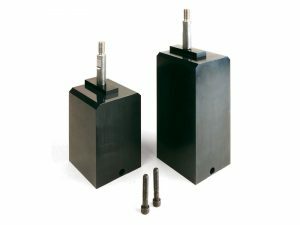 These rigid columns come in 4″ and 6″ heights, and are designed for those who have a 5400-series mill. Each comes with the 2000-series ram and gives the versatility of Sherline’s 2000-series mill column with its large work area and seven directions of movement. The tall column provides more Z-clearance.